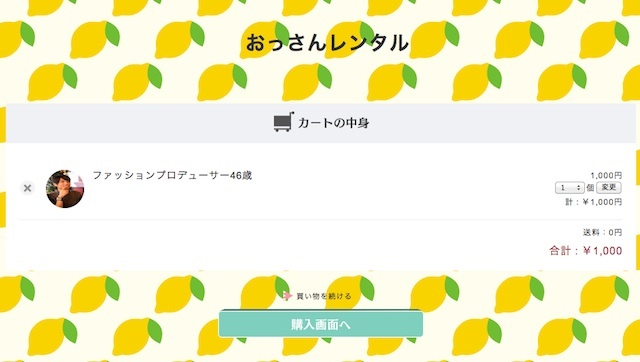 Would You Like to Rent an “Ossan”? The other day I read an interesting article about a unique rental business. According to the article, you can rent an “ossan” at the hourly rate of ¥1,000 (about US$10). Well, most of our readers may not be familiar with the word “ossan”. That’s Japanese slang referring to a middle aged man. Renting a middle aged man is more than just unique. It sounds kind of bizarre to me. However, this rental service is likely to become topical and popular. But who needs to rent an ossan, and for what purpose!? OK. Let’s take a look at their website! At fist, we see two ossans’ profile pictures. The one on the right is the promoter of this business, Takanobu Nishimoto (46), who usually works as a fashion producer and stylist. The other guy on the left is Mikio Sendo (65), who used to be a pro baseball player. It seems like only these two ossans are now available. Takanobu, the promoter, conceived this novel idea in order to enhance the value of Japanese ossans who generally tend to be derided, or whose wealth of experiences are undervalued by younger people. Renting your ossan is simple and easy. Just click and add to cart! Their service covers a lot of ground. According to Takanobu’s blog entries, his presence was recently requested by clients at an import car dealership, an open house for a new condominium, and at a museum. 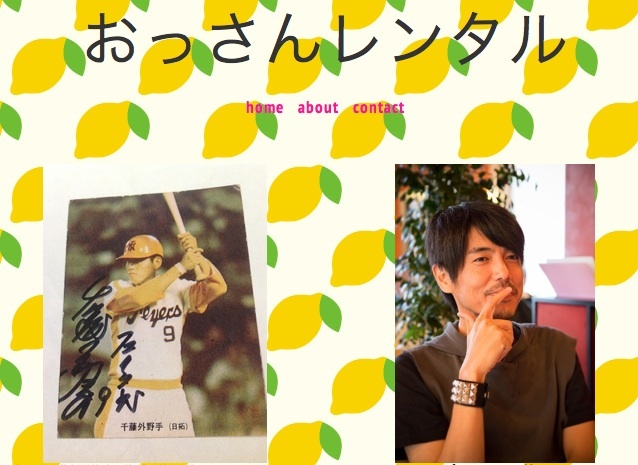 Here are some more things Takanobu has done; giving relationship advice, listing to some ideas for new businesses, offering praise and general encouragement, recommending sentimental movies…and so on.